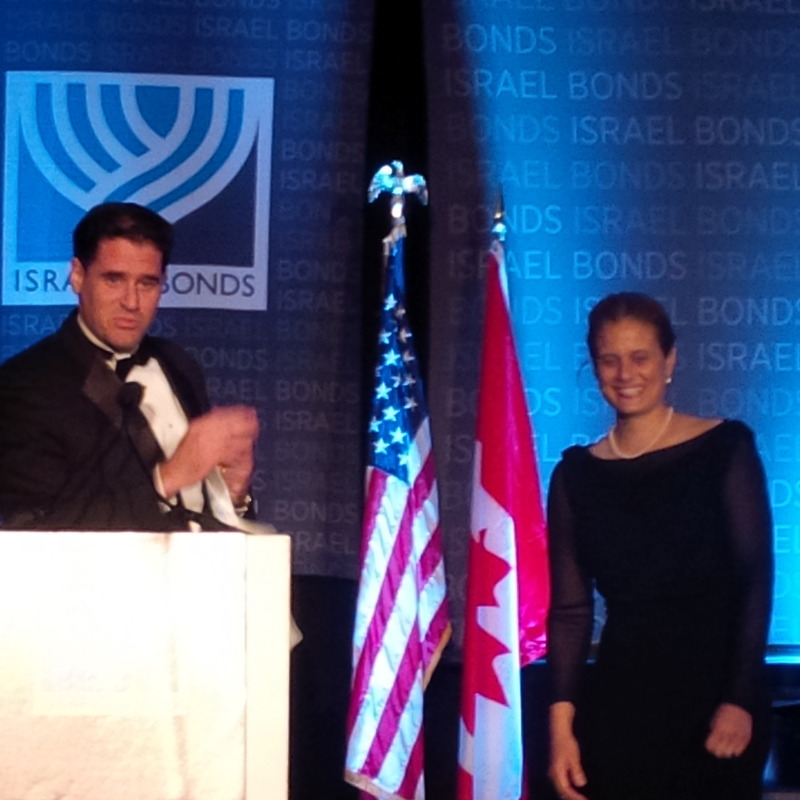 The Israel Bond Leadership Conference in Washington D.C. also met at The White House on June 10, 2014. 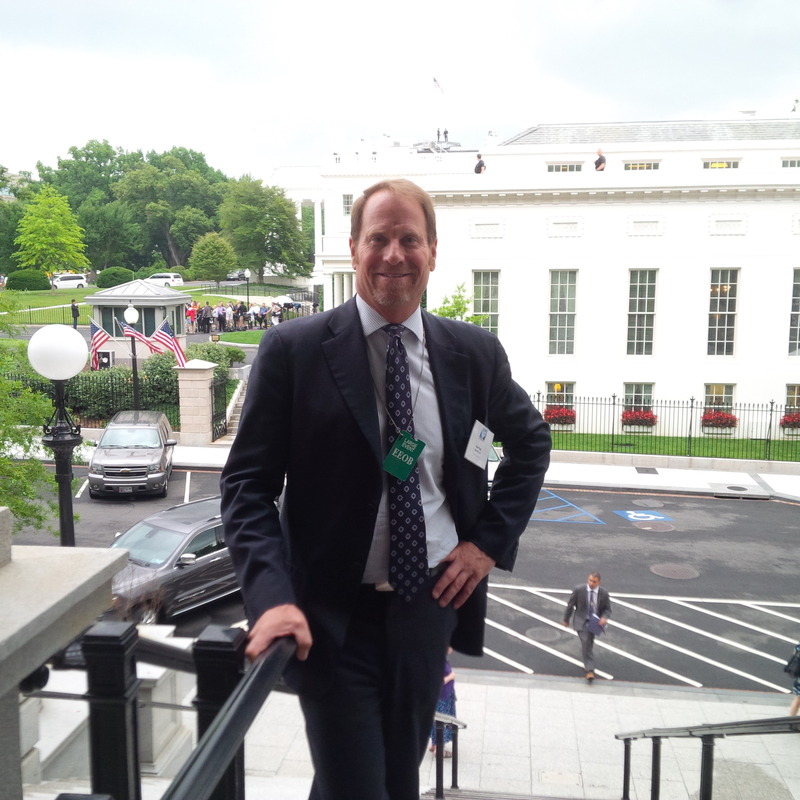 Specifically, we met in the Indian Treaty Room in the Eisenhower Executive Office Building where we spent 90 minutes listening to three high level briefings which followed a warm welcome by Matt Nosanchuk, Director for Outreach at the National Security Council. The first briefing was given to us by Jason Miller, Special Assistant to the President and Deputy Director within the National Economic Council who provided us with an overview of the economy of the United States. The next briefing was given by Laura Blumenfeld, Office of the Special Envoy for Israeli-Palestinian Negotions within the U.S. Department of State who provided us with a very insightful perspective of Secretary of State John Kerry’s view of the negotiations between Israel and the Palestinian Authority. 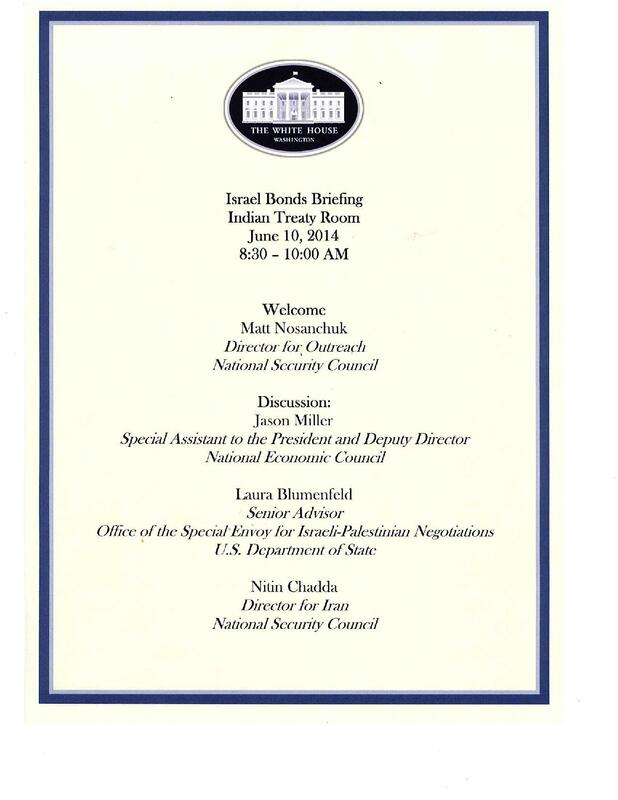 The final briefing was given by Nitin Chadda, Director for Iran within the National Security Council who spoke about the very sensitive negotiations going on with Iran in regards to the nuclear issues. His talk was very candid and certainly highlighted the great sensitivity and urgency with the nuclear negotiations that are currently ongoing. 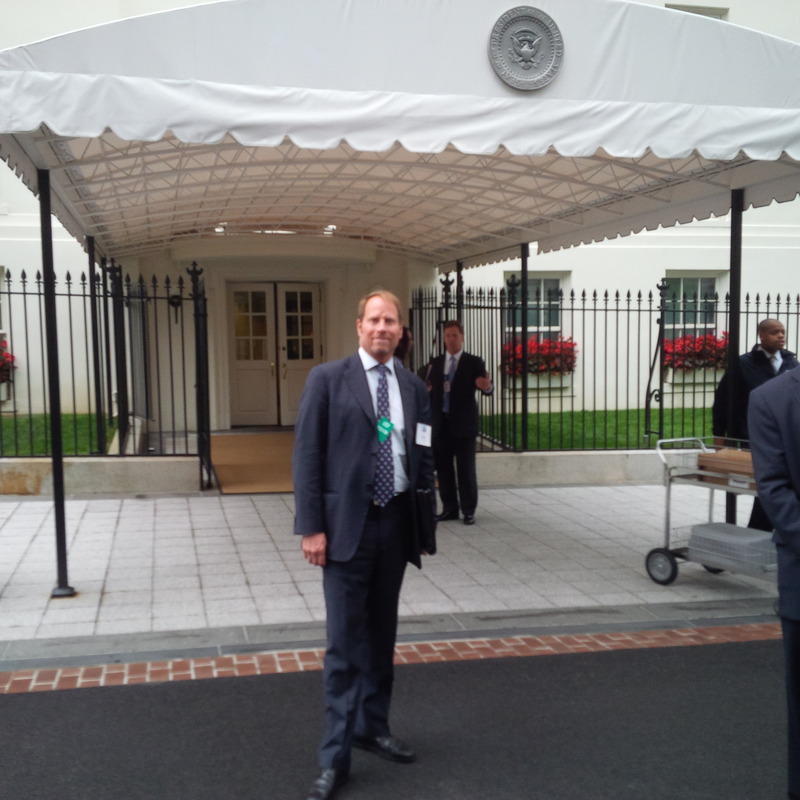 Overall, the briefings were very informative and very interesting and of the utmost importance. 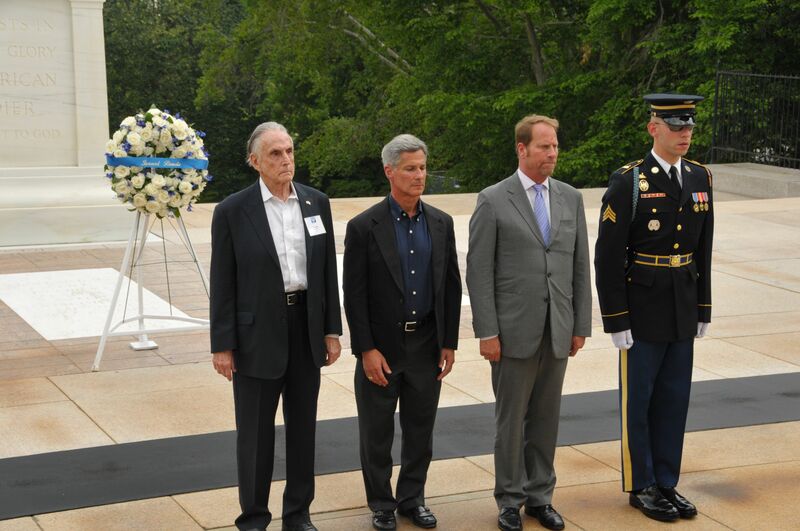 On June 9, 2014, the Israel Bonds Leadership Conference participants visited Arlington National Cemetery after departing from briefings and a tour of the Pentagon. 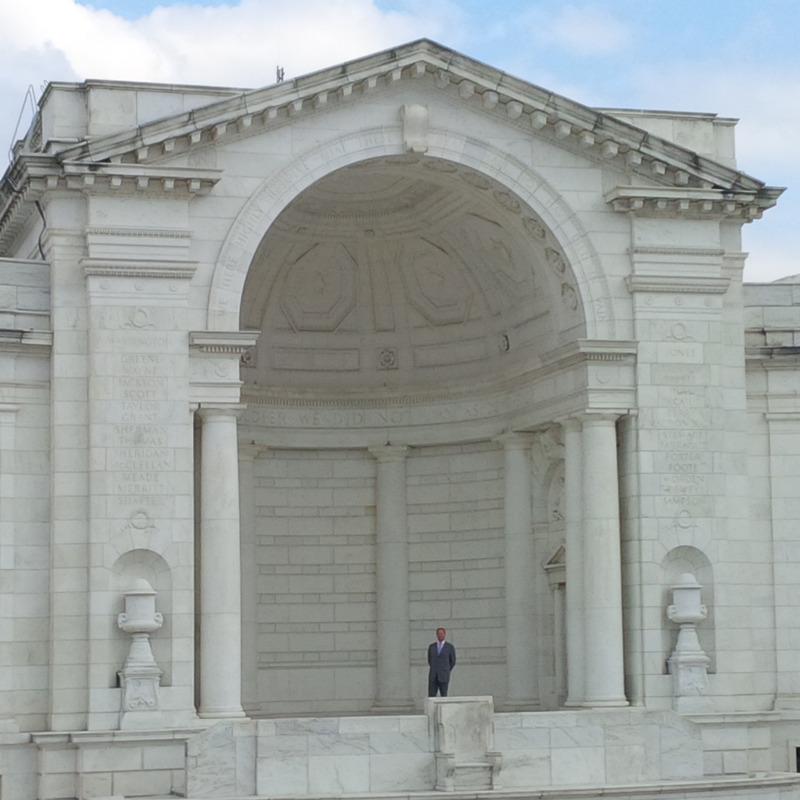 At Arlington, we had a private tour of the Museum building and then viewed the “changing of the guard” at the Tomb of the Unknown Soldier. 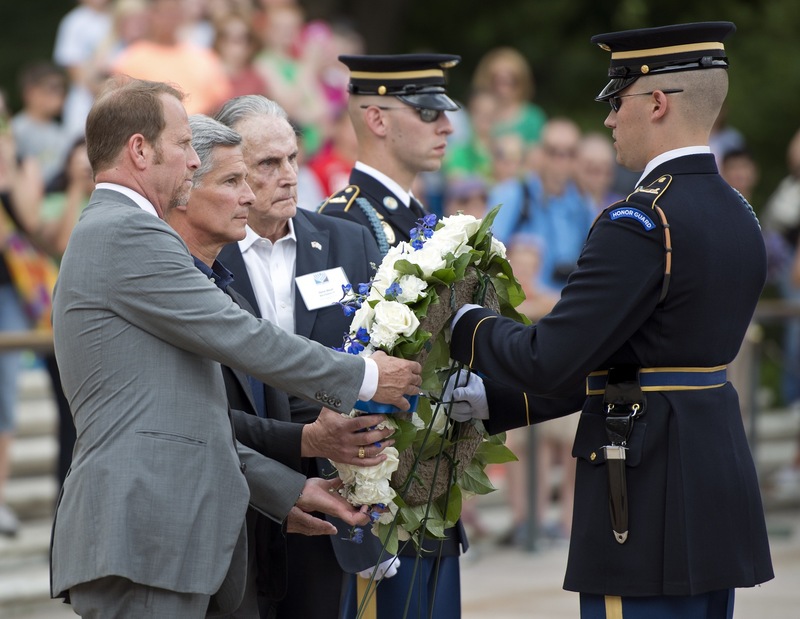 At the Tomb of the Unknown Soldier, I was given the extreme honor of laying a wreath just after the changing of the guard ceremony. 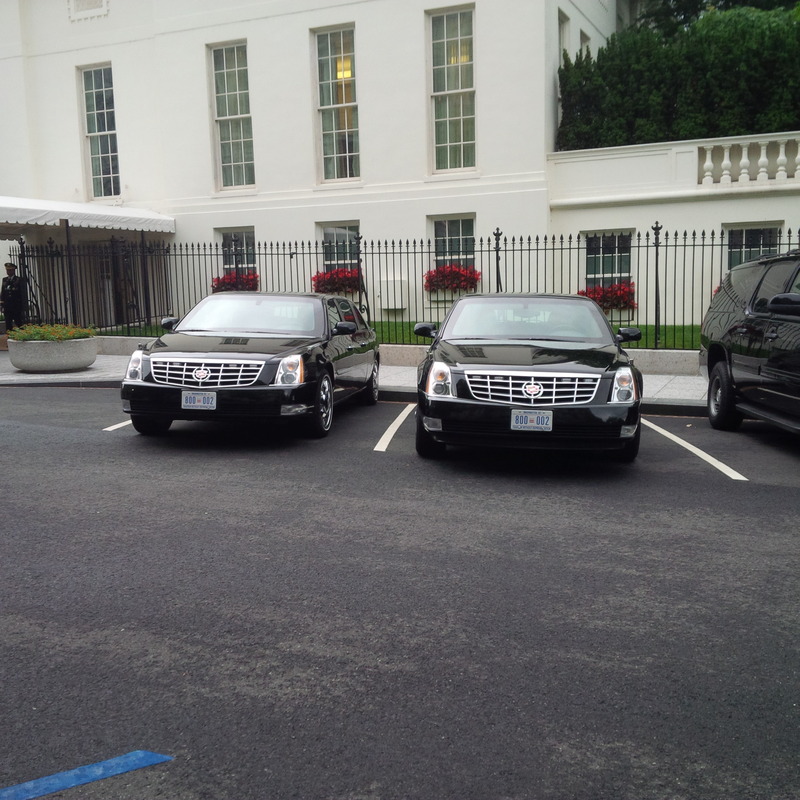 As this honor is predominately reserved for Heads of State, I was overwhelmed at being selected to participate. To commence the ceremony, we walked down the stairs from the Museum to where the honor guard was waiting. 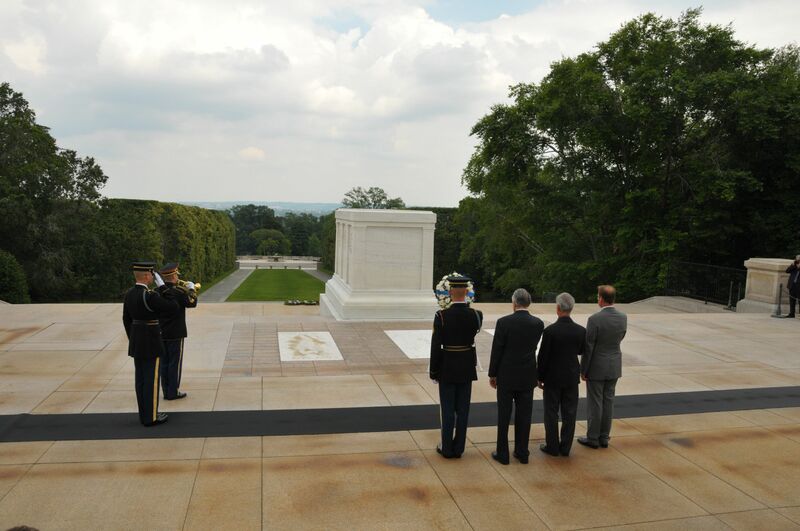 From there, we presented the Israel Bonds wreath to the guard and together, laid the wreath at the Tomb. Then, the honor guards played “taps” while we stood with our right hands placed over our hearts (the soldiers stood at attention and saluted). We then turned around, and walked back up the stairs to the Museum as the honor guard escorted us up. 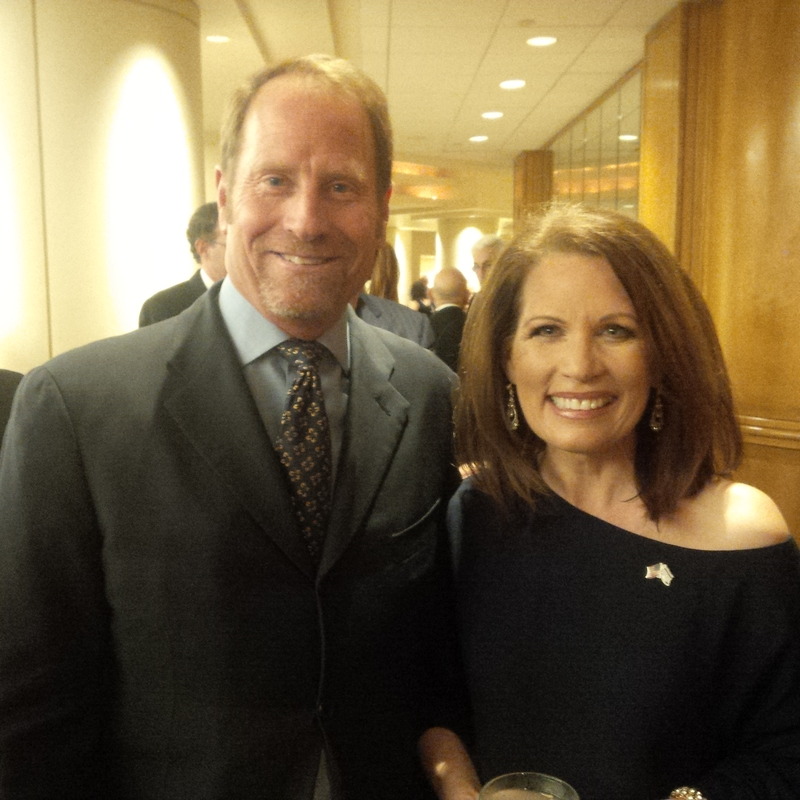 Also escorting us was Lt. General Michael S. Linnington, U.S. Army, who turned to me and thanked me. 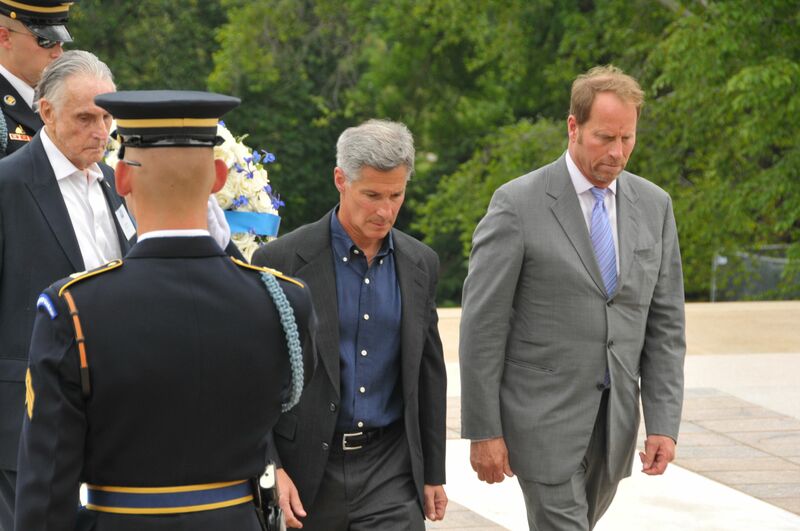 When I asked why he was thanking me, he responded that during his 34 year career in the military, (and even being posted with President Obama), he never had the honor and privilege to lay a wreath at the Tomb of the Unknown Soldier until this day. 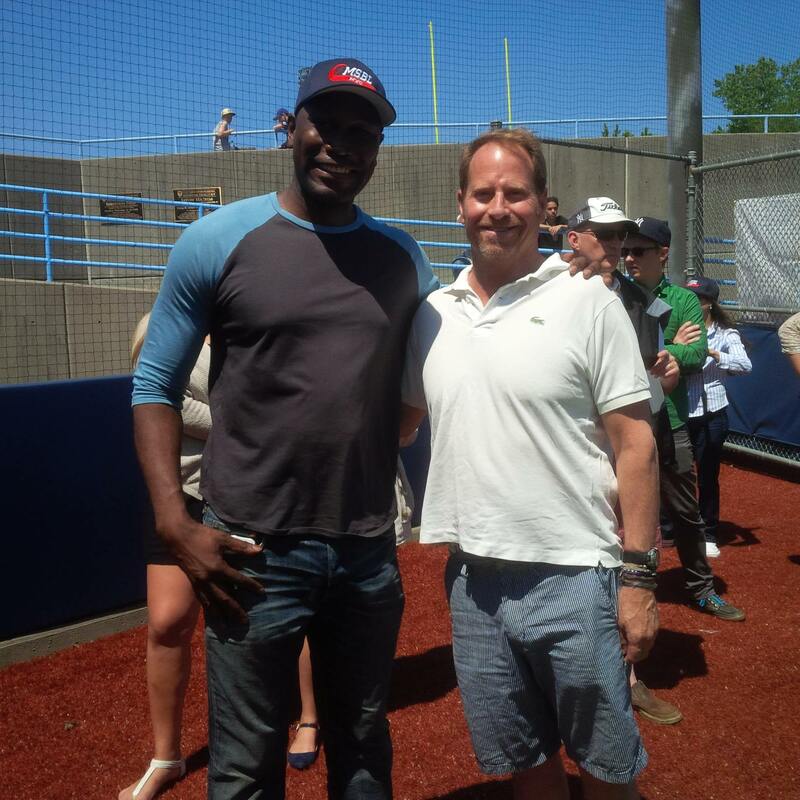 And, he continued to tell me, that this was among the great honors in which he was able to participate. I was overwhelmed by the General’s graciousness and openness. Needless to say, the entire ceremony was deeply emotional and it was very difficult not to openly shed tears. 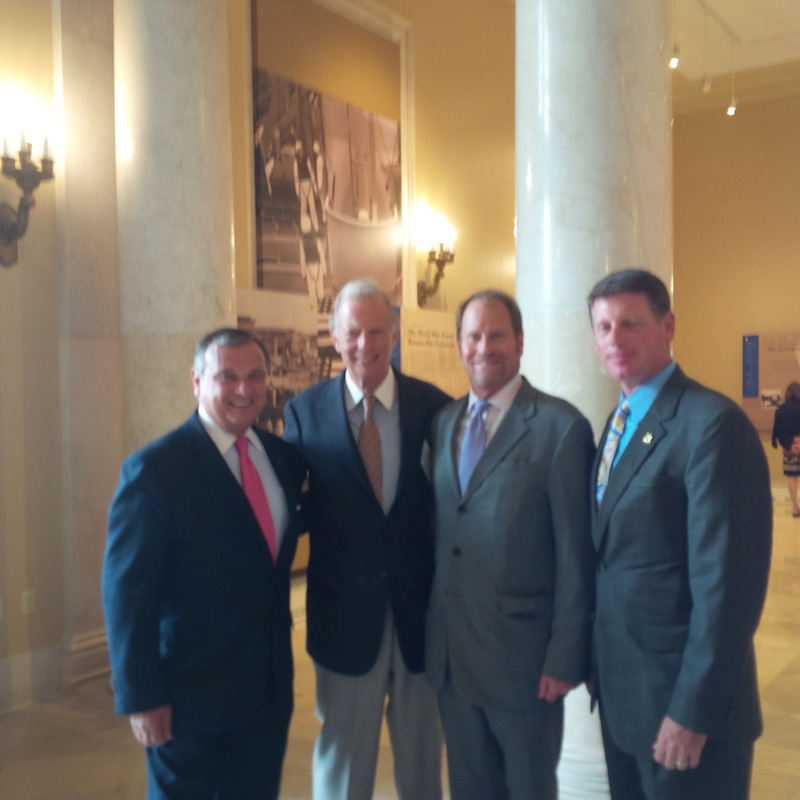 This was a day that I will certainly never forget and ranks among my most proud moments. 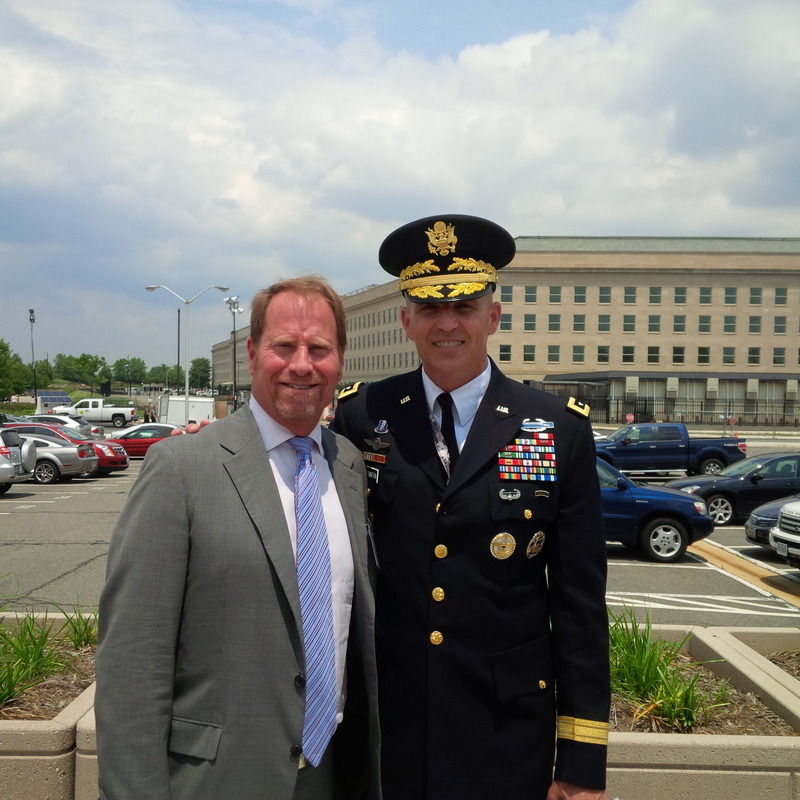 Kent Swig with Lt. General Michael S. Linnington, US Army, at the Pentagon. 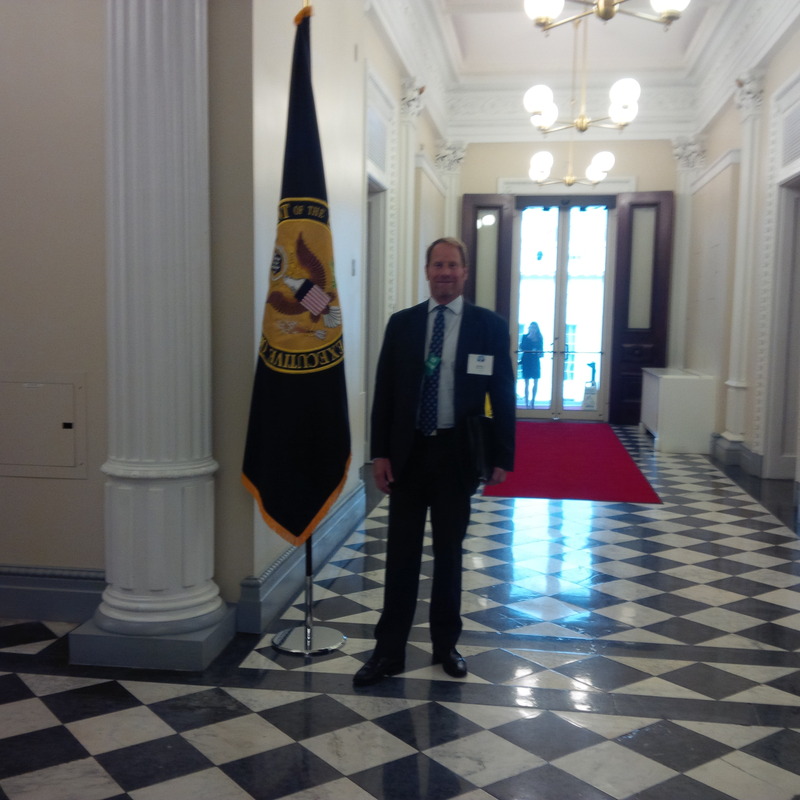 On June 9, 2014, as part of the Israel Bonds Leadership Conference in Washington, D.C., we visited the Pentagon where we had a private tour and then participated in a high level briefing from Lt. General Michael S. Linnington, U.S. Army. The General is an extraordinary man with a keen insight into world affairs and a person with a warm and caring heart. Our country is indeed in good care with men like the General leading our military. 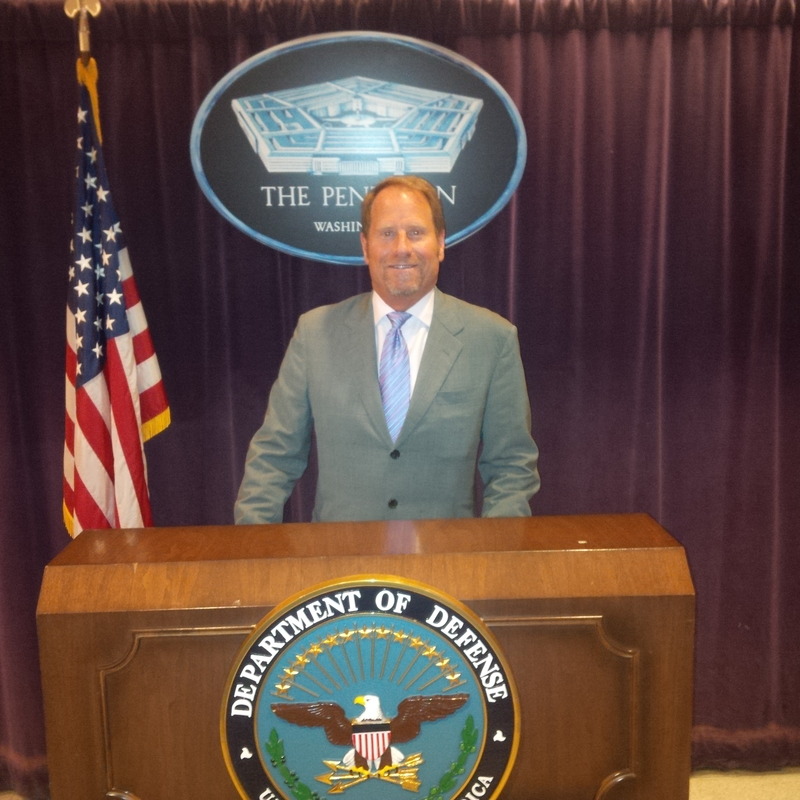 Kent Swig at the Pentagon in Washington, D.C. 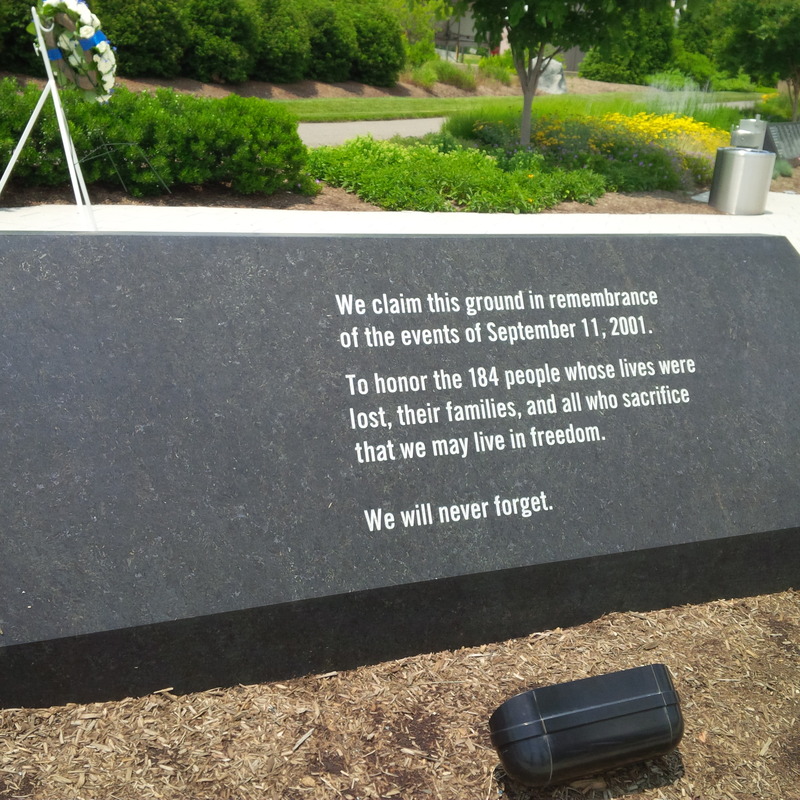 The tour was extremely interesting and very emotional as we also had the privilege to tour the area that was destroyed and rebuilt from the 911 terrorist attack on the Pentagon on September 11, 2001. 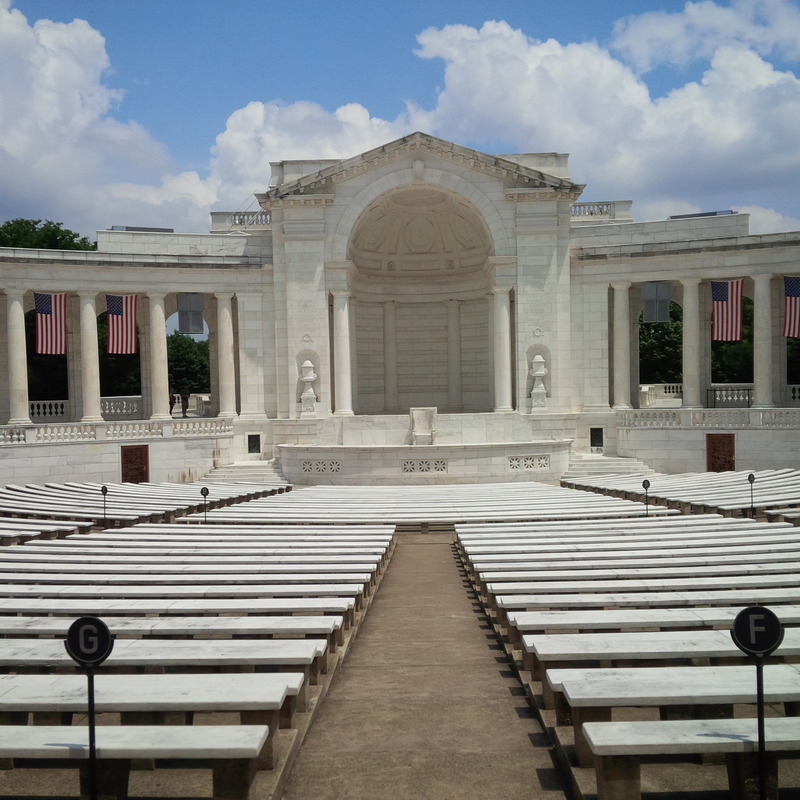 We also gained access to the private 911 Memorial Chappel and the museum area that was set up at the Pentagon to pay respects and remembrance to all those who died in this terrible and vicious attack . 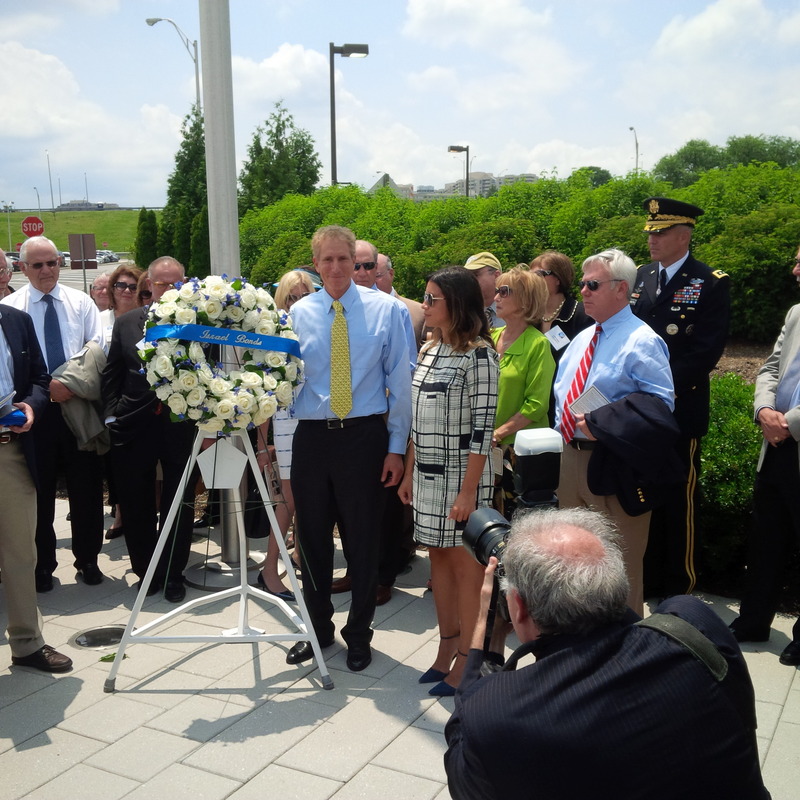 Our group also laid a wreath at the 911 Memorial at the Pentagon in a very emotional ceremony. 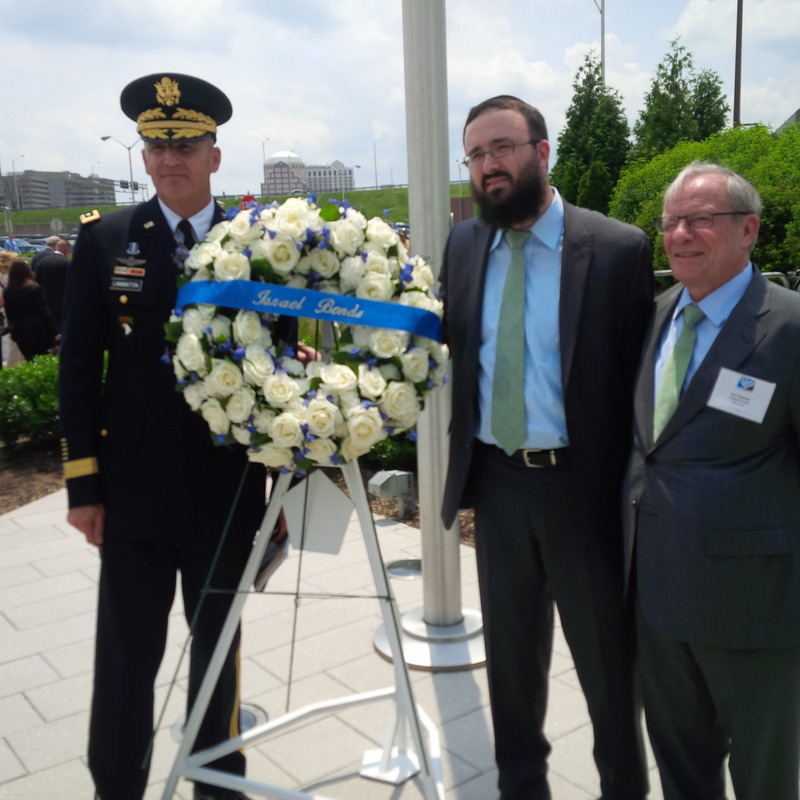 Wreath laying ceremony at the 911 Memorial at the Pentagon: from left to right: Lt. General Michael S. Linnington, US Army; Rabbi Mendy Carlibach, Rabbi at Rutgers University; Izzy Tapoohi, President of Israel Bonds. 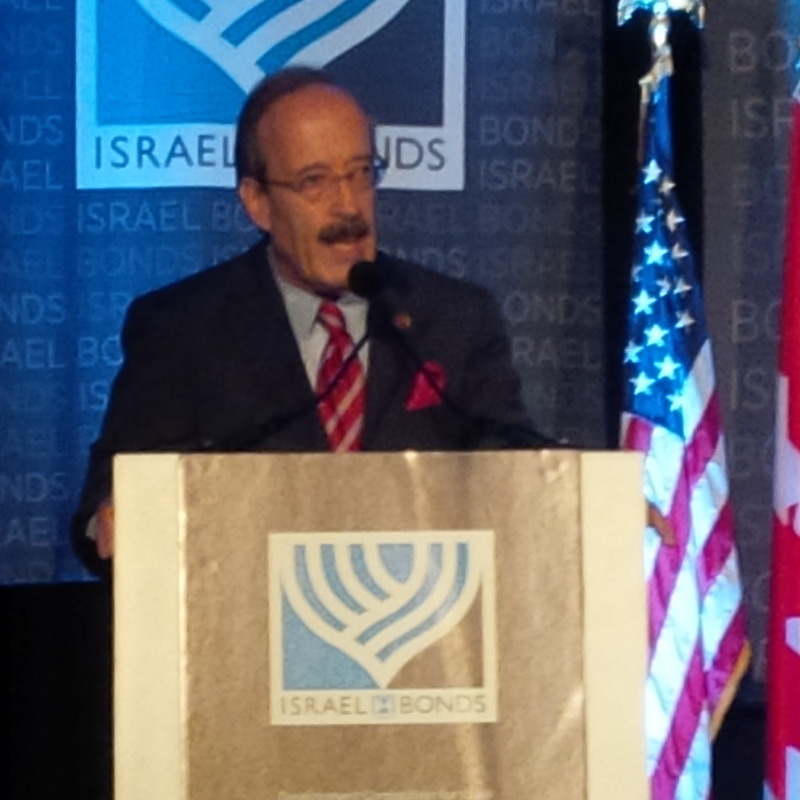 Israel Bonds Leadership Conference in Washington D.C.
Over a three day period from June 8 through June 10, 2014, I participated in the annual Israel Bond Leadership Conference in Washington D.C. The purpose of the conference was to provide timely briefings and insights into the leading issues affecting Israel, its neighbors, and its strategic relationship with the Untied States. 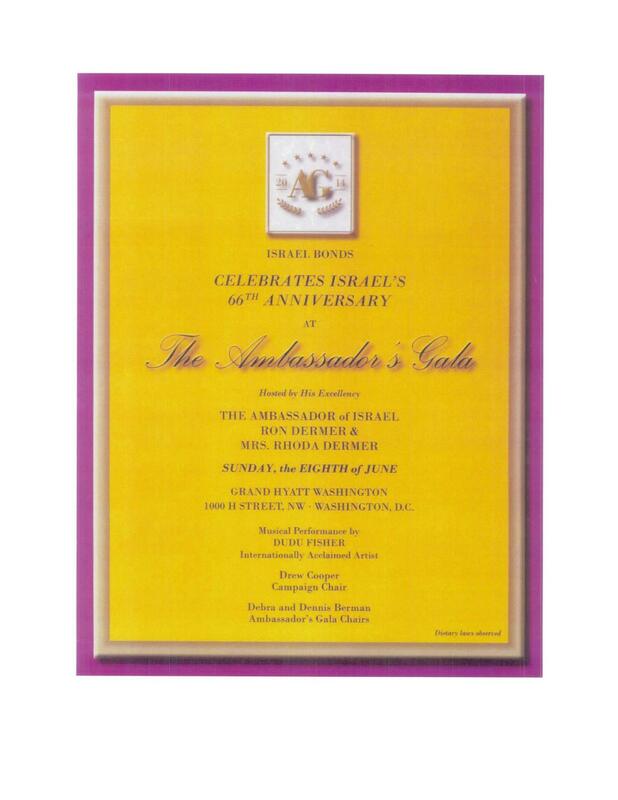 The Leadership Conference “kicked off” with a a dinner known as The Ambassador’s Gala where Israel’s Ambassador to the Untied States, Ron Dermer, was honored along with his wife Mrs. Rhoda Dermer. 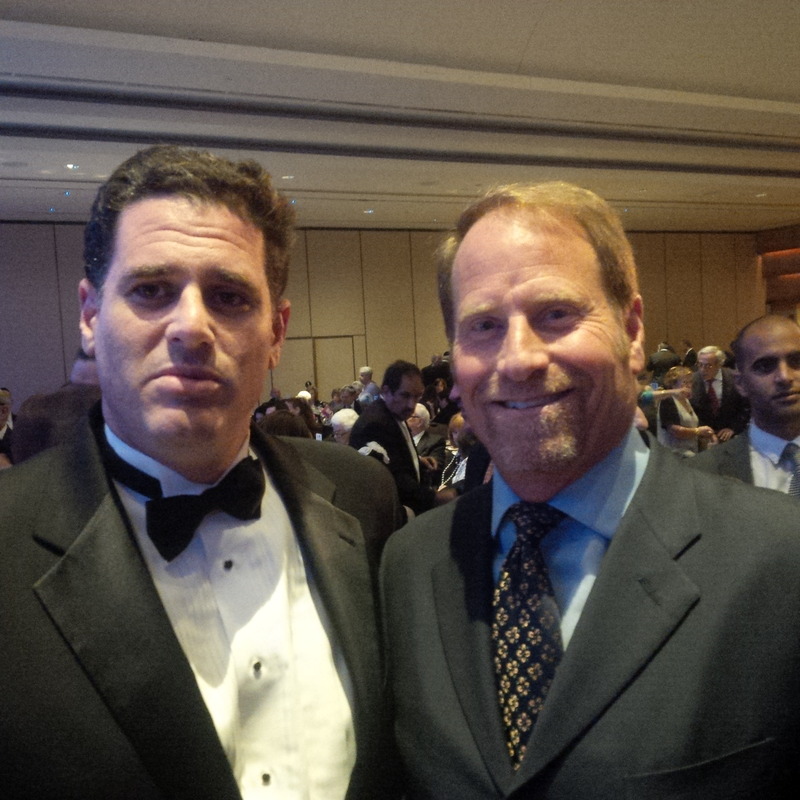 The dinner was wonderful and Ambassador Dermer provided great insights into the unpresented current events that are affecting the Middle East and Israel. Also honored were the two ranking congressman from the House of Representatives Committee on Foreign Affairs: Representative Ed Royce, the Republican Chairman from California, and Representative Elliot Engel, the Democrat Ranking Member from New York. 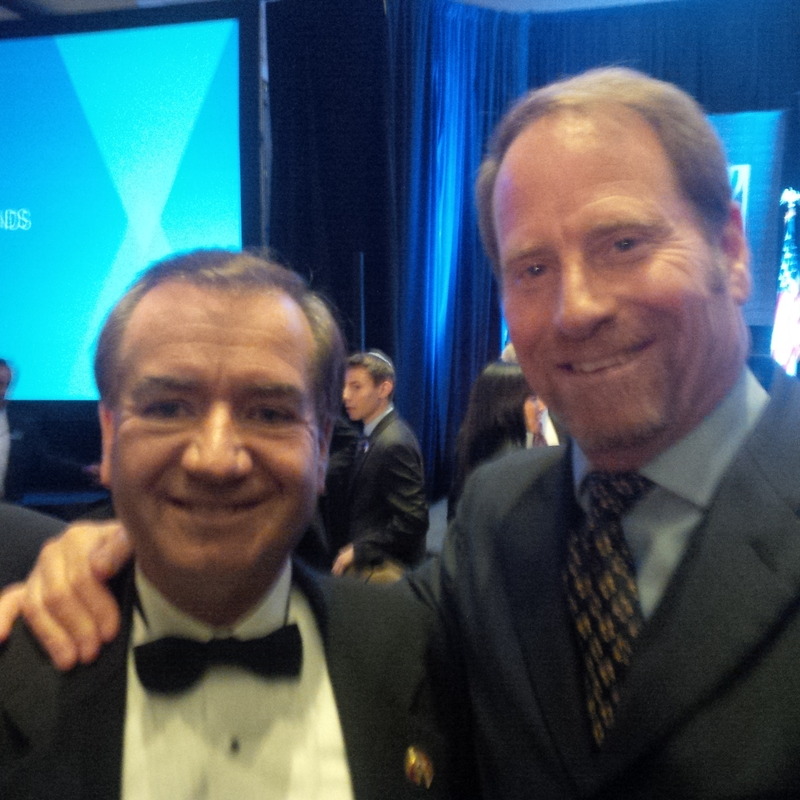 Most heatening, was the way in which Congressman Royce, a Republican, and Congressman Engel, a Democrat, spoke of their unique working relationship with one another and of their bipartisan approach to their Committee on Foreign Affairs. If only the rest of Congress could take their approach to working together and setting the “good of the country” ahead of partisan bickering, the Untied States and Washington, D.C. would be a much better and productive place! 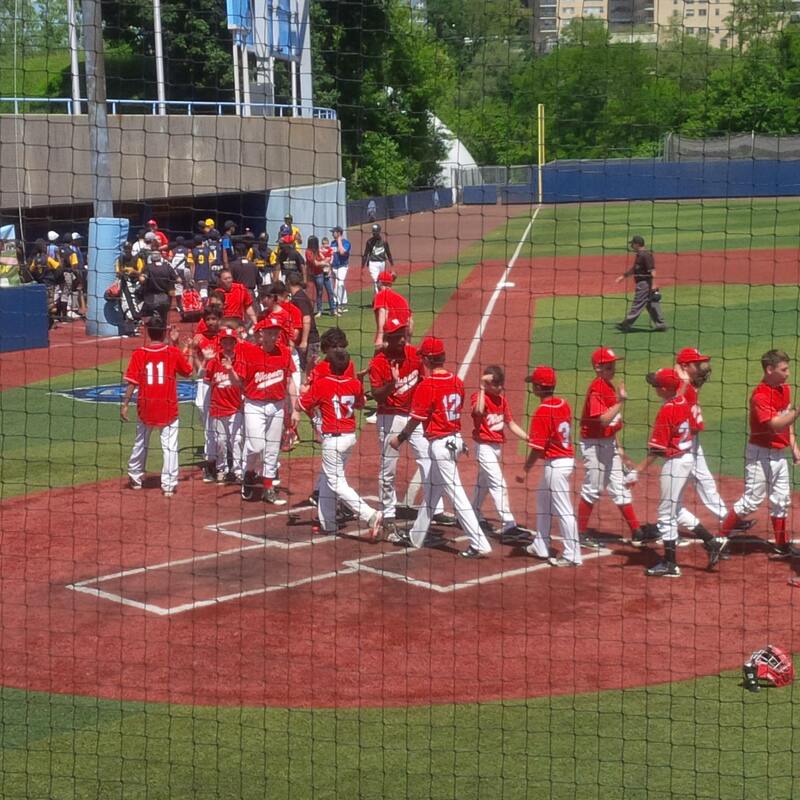 On Saturday, June 7, 2014, I attend the New York City Championship Middle School baseball game between Wagner, the Manhattan Borough champions, and PS 318, the Brooklyn Borough champions. 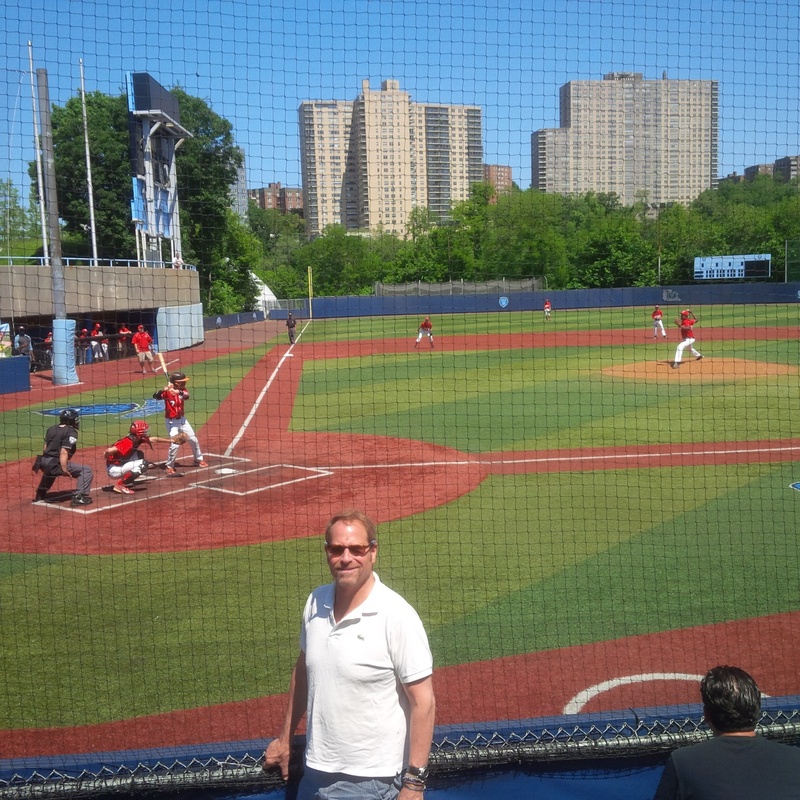 The game was held at Columbia University’s Robertson Field on West 218th Street on a beautiful sunny morning. 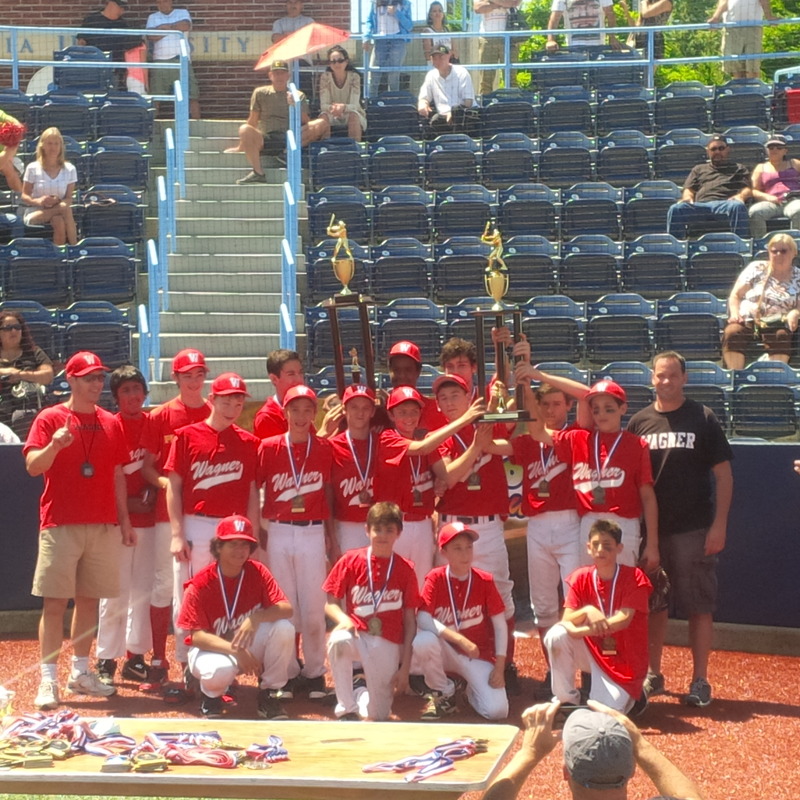 Wagner Middle School won the game in a thrilling 13 to 7 victory and upsetting the former champions who were undefeated throughout the season, and who had won the championship in 2010, 2011, 2012, and 2013.